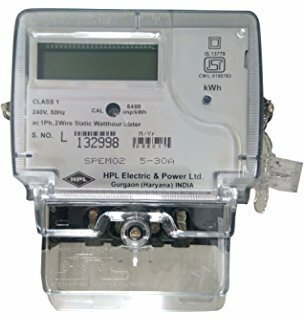 Our company has been successful in winning appreciation from the clients as one of the most prominent names in the trading of HPL Energy Meter. Established in the year 2007, we S.N. Electel Pvt. Ltd. is a well-known name in the market for Distributor and Wholesaler trader a broad array of electrical products such as Electric Wires and Cables, Electrical MCB, Electrical RCCB, Electrical MCCB, Rotary Handles, Distribution Board and many more. Owing to varied specifications and nominal prices, these products are extremely used in the market. We develop our products as per industry norms and parameters using the advanced techniques and top quality raw material that is sourced from reliable sellers of market. Moreover, to make these products, we hired expert’s team who has rich industry skill and experience. Being a client’s conscious company, we are dedicated to present the top products to clientele. All these products are developed as per worldwide industry norms and standards.